Arrow Roofing is one of the best roof replacement companies in Sydney. Their location is, more specifically, in the community of Crow Nest, one of the city’s northern suburbs. Its two partners have no less than 26 years of roofing experience between them. 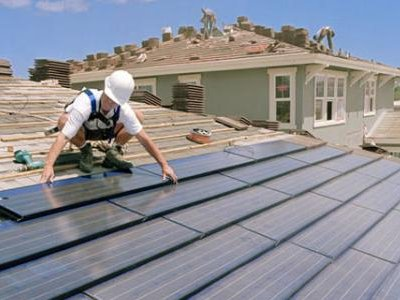 They know that it requires a great deal of specialised skill to renovate or replace the roof of a building. The eastern coast of Australia provides fertile ground for people who need roofing services. During the autumn, cyclones move down the coastline from Queensland. The rough weather really does a job on structures in the area. Just about the entire spectrum of roofing forms part of the Arrow team’s work, ranging from replacing tiles and ridge caps to galvanising the nails to cleaning the roof and removing any debris from it. Whatever material your roof is made out of—whether colourbond, slate, tin, aluminium or anything else—Arrow Roofing is both able and willing to work on it for you. They may also replace the box gutter or skylight or “bird proof” the roof by putting in deterrents such as hot wire systems. ceiling and roof insulation—This is a crucial part of any roof as it keeps out both the heat of summer and the cold of winter: In the Sydney area the temperatures can be as high as 24° in January—though this is rather cool by Australian standards—and as low as 7° in July. Consequently, insulation can keep moisture and mould from seeping in. All of the work done by Arrow Roofing is guaranteed and the company is a member of the Master Builders Association of New South Wales, in existence since 1873—the state’s leading organisation in the business and construction industry. This organisation works to provide training and contracting in the business and to get legislation passed and enforced regarding safety issues. Arrow Roofing also operates on a “fixed pricing” system. This means that once they have made their contract with the client, the price stated in that contract is the price that they will charge—no additional fees will be demanded. The partners, Steve Darcy and Troy Ham, also do everything that they can to gear their work to the unique needs of each of their customers and have full control over all members of their work force. One couple of happy customers absolutely loved the work that the Arrow Roofing team did on their Victorian house. Not only did they make the roof look stunningly beautiful, but they conducted the whole process in an efficient, professional manner. The roof of a house can be one of the most expensive parts of it to repair and maintain. And a large part of anybody’s “asset base” is, naturally, his or her own house. Those are the two number one reason why a roofing company with an excellent record of professional, quality service can make such good money. And Arrow Roofing is just such a company, so they are the ones to call if you need to have work done on the top of your house.